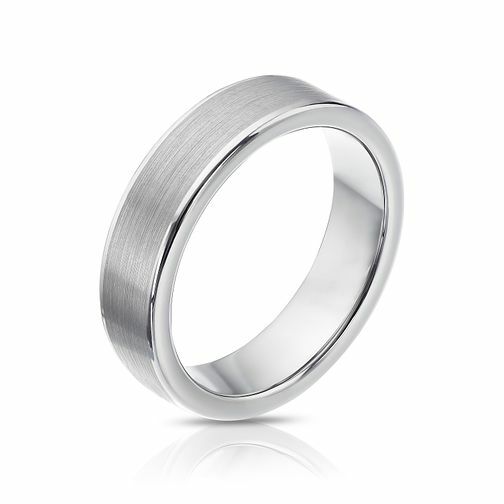 Tungsten two tone ring featuring polished edge finish. A modern ring for a stylish man. Modern men's jewellery for all ocassions. Tungsten two tone polished edge ring is rated 3.0 out of 5 by 5.